As the cold winter weather moves in, Yui offers to have nabe with everyone, but the girls are drawn away from each other by various concerns and obligations. Mio retreats to the beach alone to get inspiration for her lyrics, Tsumugi gets a part-time job at a fast food restaurant, Ritsu goes to a movie with her little brother Satoshi, and Azusa looks after Jun's pet kitten. 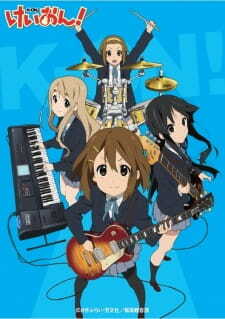 However, Mio cannot think of any lyrics, Tsumugi buckles under the pressure of her first job, and Azusa is left panicked and uncertain what to do when the kitten seems to be ill. A random, silly text from Yui cheers up the others and she goes to help Azusa with the kitten, who was just coughing up a hairball. They all meet up for burgers at Tsumugi's restaurant later, where Ritsu is shocked to learn that what she thought was a love letter addressed to her were actually song lyrics Mio wrote.